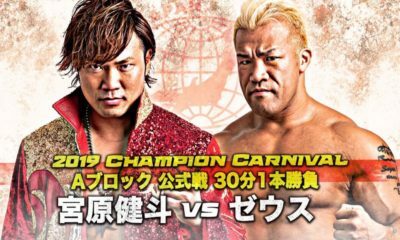 As the Champion Carnival is starting to come to an end, Part 5 brings us to the point in time where everyone in B Block only has one match left. Even though our picks article was a less than expert opinion on the product, we weren’t too far off. Suwama and Marufuji are towards the top of B Block while Shingo and Joe aren’t out of the picture in the A Block. We could still end up being way off, but I can live with being in the ballpark going into the last two days. 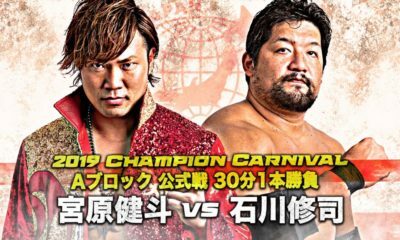 Zeus needs this victory to stay alive in the Carnival, and Marufuji has been riding an undefeated wave. Zeus comes out with long pants and a rally towel, which isn’t his normal attire, so I’m not sure if there’s a story there. But the match itself was exactly what you expect from two high tier wrestlers. They feel each other out by a test of power, trading chops and just generally seeing what the others’ pain threshold is. Zeus dominates most of this match, even though Marufuji gets in everything from the Kawada kicks to his corner blitz. 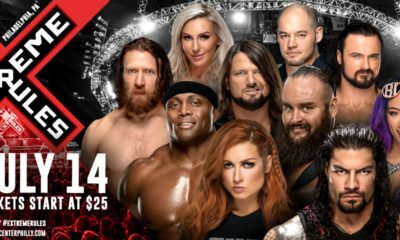 Both men get their finishers countered or slowed down a few times, so you are sucked in since either man has the prowess to win this. Just when Marufuji gets some momentum, and looks to end it with the Shiranui, Zeus counters it with his signature Jackhammer and gets back on the winning track. 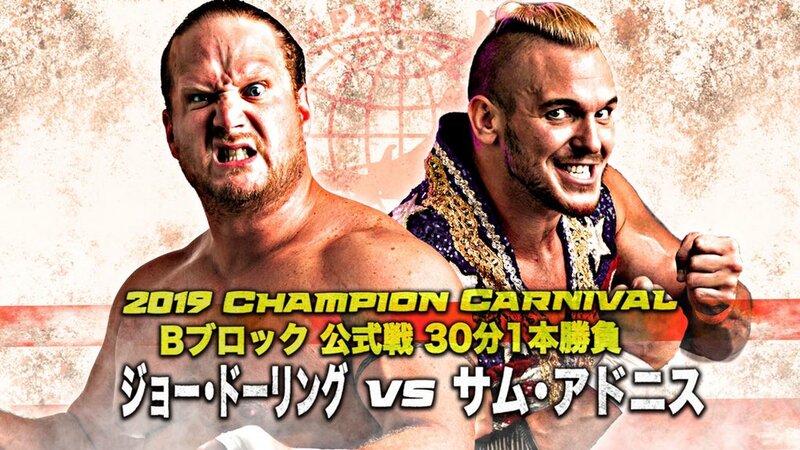 Personally, this is my favorite match of the Carnival so far. 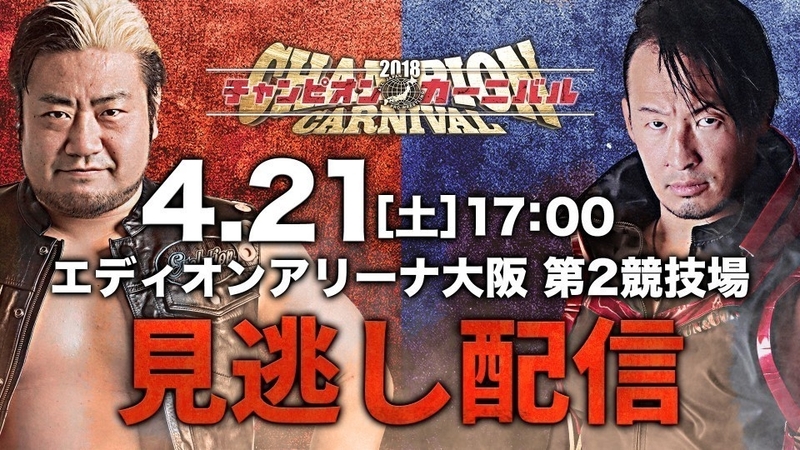 We’ve got a battle of NOAH’s Ace and the former Ace of All Japan, so most people had this marked off as a feature match. For the most part, this match lived up to the hype. However, it started off fairly slow, and took it’s sweet time picking up. The match goes over 19 minutes, and feels long. 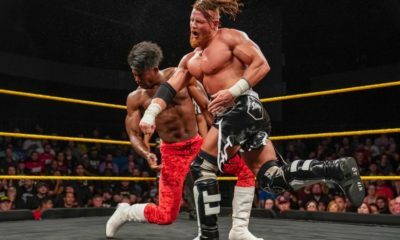 The ending flourish helps to reignite the crowd and bring the match into the Four Snowflake territory, but it might have benefitted from being the final match of the day. Everyone seems to be scouting Marufuji’s knee lift, and catching him mid move. This was no different, where Suwama lariats him out of his shoes and picks him up for the Last Ride. Even though Suwama has sole possession of first place currently, these two are very close. The winner will have some nice momentum going into the last few days. Akiyama is a machine at his age (48). When he’s facing the top talent, he puts on a show stealing match. Zeus has really hit a nice stride after falling victim to two losses against lesser opponents. This went back and forth, with Akiyama having the more impressive lengths of offense. He used his veteran cunning early on, stayed on top of Zeus with a flurry of knee strikes, but Zeus was resilient. After a criss-cross spot that ended with Zeus hitting a huge lariat, Akiyama fell to an emphatic Jackhammer. B Block has a log jam towards the top, but it’s puts a huge weight of importance on these last couple matches. Marufuji is completely behind the 8 ball now. He needs to win his last two matches and hope Zeus and Suwama lose/draw out, since he lost the head to head matches. KAI seems like nothing more than a road bump, but he’s put in good work this Carnival, so he could play spoiler. With all this said, it seems like Marufuji knew his plight, cause he came out serious. 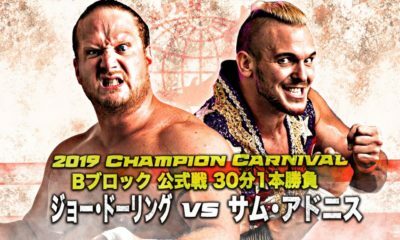 There was some nice back and forth, but the match did fall a bit flat since even the live crowd didn’t really buy into KAI. Even though he had a couple moments, the crowd was firmly behind Marufuji and that never changed. The math works out, and Marufuji puts KAI away with his Shiranui, even though it was a much closer fight than most would’ve expected. On paper, this seems unbalanced, but there’s history. They each have one win on each other in tag team action, so there’s a precedent for either to win. Going through the match, this was solid from start to finish. 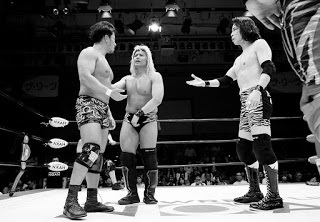 Yoshitatsu started quickly, but Suwama eventually got the upper hand through most of this match. At some points, it even looked like he took Yoshi lightly, but Yoshi would fight back. 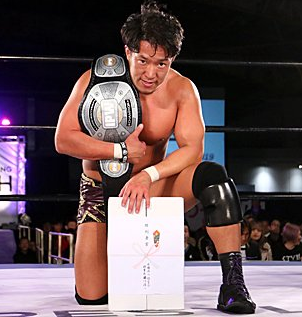 Using his speed to gain small advantages over Suwama, we end up getting a much better match than I know I was expecting. 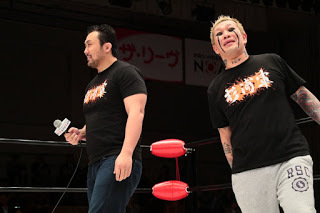 Yoshitatsu trying to prove himself, tries to etch his name in this Carnival, through Suwama. Surprisingly, Yoshitatsu gets Suwama to tap out to his Koji Clutch. Suwama was one win away from locking himself into the Finals, but falls victim to a trap match.